This is a guest post by Jacob Zenn. Jacob is a fellow of African affairs at The Jamestown Foundation in Washington DC. 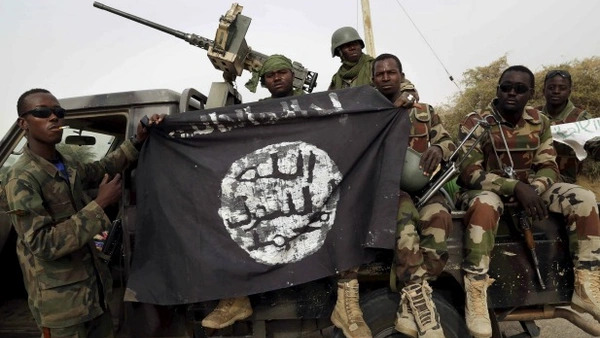 Since Boko Haram leader Abubakar Shekau pledged allegiance to self-proclaimed Islamic State’s leader Abubakar al-Baghdadi in March 2015, Boko Haram has been known as the Islamic State’s West Africa Province (ISWAP). From that pledge until August 8, 2016, the formerly bombastic Shekau had not been seen publicly. During this period, Shekau and his former rival for Boko Haram leadership, Mamman Nur, appear to have been locked in a factional feud, with the two of them sending audios behind-the-scenes condemning one another. Nevertheless, until August 3 the Islamic State recognized Shekau as the “wali,” or governor, of ISWAP. Mamman Nur is wanted by Interpol and the FBI for masterminding the UN Headquarters attack in Abuja in August 2011, which killed more than twenty people. Nur accuses Shekau of being dictatorial, religiously uncompromising, killing or maiming (via sharia punishment) innocent Muslim civilians, and burning down mosques over small "violations," including being disloyal to Shekau. There are also disagreements between Islamic State leadership, Nur, and Shekau over the practice of slavery and the fate of the Chibok captives as well as Shekau’s “not giving enough weapons to soldiers [of the other faction],” which forced them to withdraw and “be replaced by unbelievers” in the “Islamic State.” Nur’s criticisms of Shekau resemble those of other breakaway factions, such as the Yusufiya Islamic Movement in 2011 and al-Qaeda in the Magreb (AQIM)-aligned Ansaru in 2012-2013. On August 3, the Islamic State announced that Nur-aligned Abu Musab al-Barnawi (the son of Boko Haram’s founder, Muhammed Yusuf) is the new "wali" of ISWAP. Shekau immediately responded with an audio, where he made clear that he is reverting to his former position as “imam” of Jamaatu ahlis Sunna li’Dawati wal Jihad (JAS, the original name of the surviving followers of Muhammed Yusuf). In the audio, Shekau complained that Caliph al-Baghdadi did not respond to his messages about Abu Musab al-Barnawi’s “unbelief.” On August 8, JAS then released a video of Shekau acknowledging Abu Musab al-Barnawi is the new “wali” of ISWAP, but that he will continue the “jihad against Nigeria and the world” as the leader of JAS. So, the catch now is that the ISWAP faction and Shekau’s JAS faction all still consider Abubakar al-Baghdadi as the caliph. The Islamic State, however, only recognizes ISWAP and the “governorship” of al-Barnawi. Shekau, therefore, is no longer with the Islamic State. But his JAS faction may still be larger and stronger than ISWAP. Moving forward there are three main questions. First, will the rise of Abu Musab al-Barnawi to the leadership of ISWAP lead to changes on the ground, such as a renewed focus on Niger? Moreover, could Nur’s connections to militancy in the Sahel attract the so-called Islamic State’s sub-Saharan African foreign fighters who are now fleeing Libya, thus allowing ISWAP to launch attacks outside of the Lake Chad region? If so, this could bolster al-Barnawi’s claim to leadership vis-à-vis Shekau. Second, can the Islamic State instigate a factional truce between JAS and ISWAP? For example, Shekau and al-Barnawi could both be “governors” of different “provinces” based on their respective strengths in Borno State and the Lake Chad basin area. Though, the animosity and ideological divide between the two factions and Islamic State’s own struggles in Libya will make this an unlikely prospect. Third, where does al-Qaeda stand in relation to the feud? In other theaters, such as Yemen and Afghanistan, al-Qaeda deployed loyalists to infiltrate, divide, and weaken Islamic State’s new provinces and pull fighters back to al-Qaeda’s orbit. Could al-Qaeda do the same through covert operations, making use of AQIM? On the one hand Nur has a history of being aligned with AQIM, while there may be regret in Shekau’s faction about having joined Islamic State and a desire for new resources and legitimacy. It will also be important to see whether Nigeria can exploit the internal ideological differences among these groups to isolate one or both factions and benefit from a potentially weakened insurgency due to infighting.